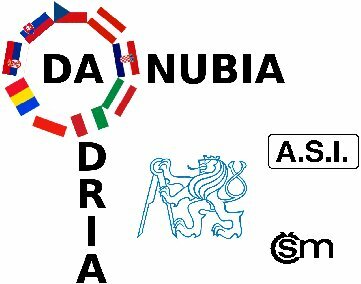 The Danubia-Adria Society on Experimental Methods (DAS) was founded in 1983. The objective of the Society is „to promote experimental mechanics, covering all aspects from the development to the applications of the methods, for the quality improvement of products and processes and for developing new models of education“. To achieve this purpose the Society intends to: encourage exchanges of teachers and researchers between universities and other technical and scientific societies; develop areas of technological cooperation between researchers and technicians from different countries on bilateral and multilateral basis to contribute to the mutual scientific benefit; organize every year an Annual Symposium on „Development of Methods and Applications of Experimental Mechanics“. 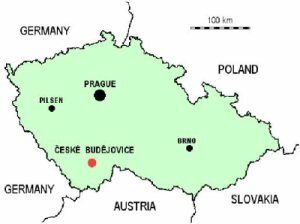 The 25th Danubia-Adria Symposium will take place in České Budějovice (www.c-budejovice.cz) and Český Krumlov (http://www.ckrumlov.info). 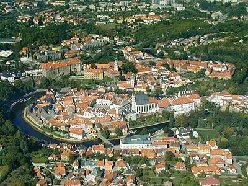 Budweis and Ceský Krumlov are situated in the lovely south Bohemian countryside, with its picturesque villages and many ponds. České Budějovice is a centre of the South Bohemia Region. 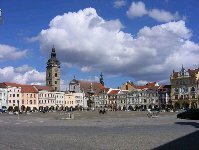 It has long been well known for its the largest square in the Middle Europe and for the beer brewed there since the 13th century. Český Krumlov is a city on the UNESCO heritage list. The unique urban complex, comprising three hundred historic houses and the National Castle and Chateau is rightly called the renaissance pearl. It is an outstanding example of a small central European medieval town whose architectural heritage has remained intact thanks to its peaceful evolution over more than five centuries. One can reach conference site easily by car or bus or by train. Railway and road acces are available through Prague, Vienna, Budapest, Munich and Linz. The nearest airports are in Linz and Prague. Authors intending to present a paper are requested to submit an extended abstract in English of no more than two pages including tables and figures. The template and typing instructions can be found on the web page of the conference. For submission, please prepare a PDF file according to instructions. Only electronic submission of PDF files via the DAS’08 web site (http://danubia-adria.cz) are accepted. By means of their submission, authors agree to register for and participate in DAS’08, in case their submission is accepted for oral presentation or poster presentation. All submission will undergo a panel review after the due date. Evaluation criteria are those typically used by major journals and first-class conferences, e.g. relevance of the topic and findings, quality (rigour) of the research process and quality of the writing. The results of the review process will be communicated to the author by the specified date. Based on the review, papers will be recommended for publication in the selected scientific journal. In order to have papers accepted to the proceedings, at least one author per paper must register and pay the registration fee for the conference. Proceedings will be available by the conference. Symposium fee includes conference materials, welcome cocktail, coffee breaks, 3 lunches, technical visit and symposium dinner. Accompanying person fee includes tourist program for accompanying persons, technical visit, coffee breaks, 3 lunches and symposium dinner. Accommodation has to be reserved by individual participants of the Conference.The Conference Organisers are not able to guarantee accommodation unless bookings are confirmed by the hotel. © 2007-2019 Czech Association of Mechanical Engineers • Created and hosted by Nux s.r.o.